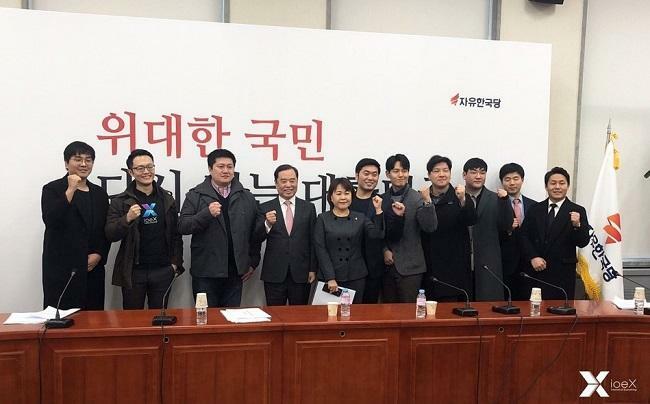 The blockchain voting system will be officially used during the Liberty Korea Party's youth committee election in March. It would mark the first official use of a blockchain voting mechanism during party elections in South Korea. ioeX’s customized platform solution will allow the Liberty Korea Party to conduct party elections with all records preserved in the blockchain. In addition, the platform will include a petition function to facilitate the gathering of public opinion while also providing up-to-date records of representative activity for the general public. ioeX Founder and CEO Aryan Hung said that the voting system will give hands-on experience to the public on using blockchain technology. “The voting system is the first step in our continued expansion of the ioeX distributed network and duo-chain system. Events such as candidate speeches and policy announcement are perfectly suitable for temporary storage in the distributed network so that through content searching, users can find images and video that cannot be recorded on the blockchain and better understand the candidates' past feats,” Hung said. “Additionally, users can use encrypted communication (X-Talk) for peer-to-peer media transfers and further ensure data security." Chairman of the Liberty Korea Party's Emergency Committee Byong Joon Kim said that they will continue to partner with ioeX to advocate the use of blockchain applications in the future. The Liberty Korea Party's Floor Leader Na Kyung Won emphasized that the characteristics of blockchain such as traceability and being tamper-proof can help facilitate party elections with increased success. The party also announced its commitment to foster a healthy environment for blockchain technology in the country. This includes making efforts towards legalizing initial coin offering (ICO) and cryptocurrencies. The country’s financial regulator, the Financial Services Commission (FSC), imposed a ban on ICO activities in 2017. Last month, the regulator announced that it does not plan to lift the ban on ICOs. Last November, the Thai Democrat Party used blockchain technology to elect its new party leader in a recently held primary election. West Virginia also used a blockchain-based smartphone app, developed by Voatz, for its midterm federal election last year, allowing military personnel located overseas to cast their ballots. The Swiss city of Zug used an app from uPort for its first blockchain-based municipal voting.